Montreal's public health agency is concerned about people who have been exposed to measles. One person with the highly infectious disease may have infected others in Montreal in the past two weeks. 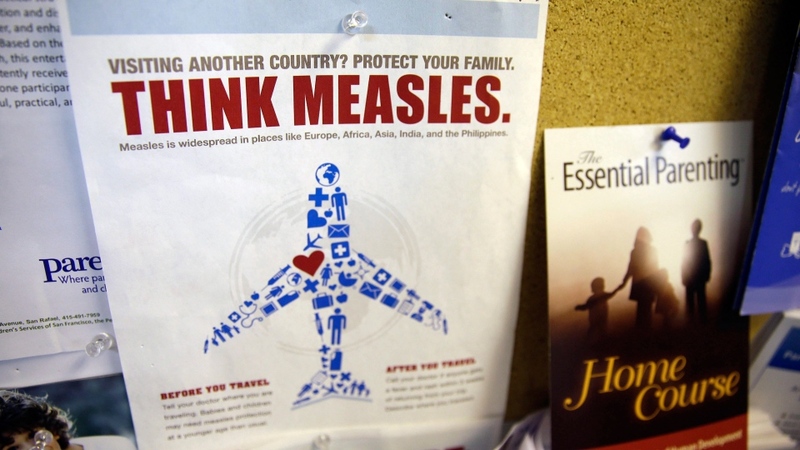 Officials believe she caught measles during a trip to Europe. She returned by flying from Minsk to Montreal, with layovers in Frankfurt and Toronto, on Jan. 27, 2018. The woman then went to a clinic in the southeast part of Montreal on Jan. 28, and went to another clinic on the 30th, when she was diagnosed with measles. During this time she was contagious and could have infected anyone who was near her. Montreal's public health agency is warning doctors and nurses to be on the lookout for other people with measles symptoms, and to immediately take steps to control the infection. Those steps include making patients wear masks, especially if they have a fever, cough, runny nose, and red eyes. People with measles may also have white spots in their mouth and throat, with a red, spotty rash on their face and body. Measles is usually mild but it can have severe and lifelong complications, in addition to being potentially fatal. About one in ten children who gets measles develops an ear infection which can lead to permanent hearing loss. One in every 20 children who contracts measles gets pneumonia, and one in 1,000 develops encephalitis -- brain swelling. About one or two children out of every thousand who gets measles dies from the disease. Measles is especially dangerous for women who are pregnant and can force a premature delivery. The public health agency is now trying to reach anyone the infected woman may have had contact with because measles is easily spread through sneezing, coughing, or being touched. Doctors should also ask people with symptoms about where they have travelled to see if they've been somewhere where measles is endemic. The World Health Organization says 72 people died in Europe in 2018 after getting measles. Measles has an incubation period of seven to 14 days. People who have it are contagious for four days before a rash appears on their skin, and remain contagious until four days after it disappears. The measles vaccine is very effective, with at least 85 percent of people being immunized after one dose, and more than 95 percent after a second. Measles had been eradicated in Canada in 1998, but has since begun to return to the country, almost always because of international travellers who are not vaccinated. 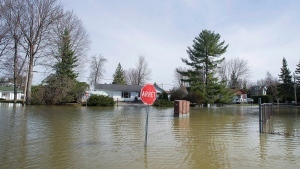 More than 700 cases were reported in the Mauricie in 2011, and more than 100 were infected in the Lanaudiere region in 2015. In both cases the disease was brought to the region by an international traveller who had not been vaccinated. Many of these people mistakenly think a vaccine can cause autism, even though that is impossible. What most people fail to realize is that the supposed increase in autism diagnosis is because of the definition of the disorder has changed drastically over time, and now includes people with Asperger syndrome and pervasive developmental disorder.